Woodpeckers, bats, turtles, macroinvertebrates, pollinators, and dragonflies all stand to benefit from a south suburban project recently awarded a grant from the Chi-Cal Rivers Fund. 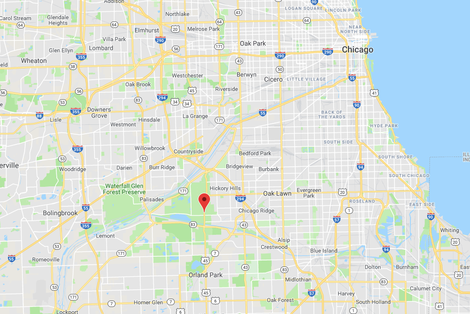 The $242,668.96 grant will help Friends of the Chicago River partner with the Forest Preserves of Cook County to clear invasive species from nearly 200 acres around Crooked Creek near Palos Hills. The project will restore natural absorption of stormwater into the soil by removing invasive plant species and replacing them with deep-rooted native perennial forbs and grasses. Our work there will improve wildlife habitat both within the creek and its larger watershed. Crooked Creek is a tributary to the Cal-Sag Channel that flows through Forest Preserves of Cook County. The acres targeted for clearance are degraded, resulting in elevated stormwater and surface water runoff rates. These degraded areas, choked with invasive species and dense trees, are characterized by bare soils that allow rain water to quickly flow off the land, contributing to erosion and flash flooding. Friends will restore the natural system of infiltration along 5.7 miles of tributaries. Tractors such as this one will be used to help remove invasive plant species. Friends will work with restoration contractors to clear 81 acres of floodplain and adjacent upland of invasive brush and trees. 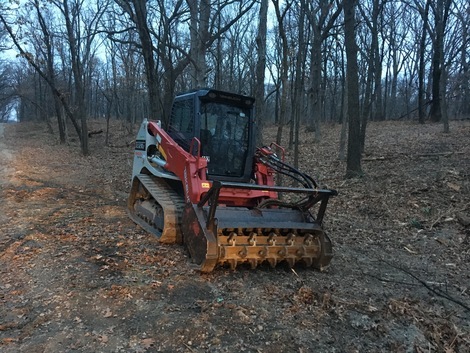 To supplement this work, the Forest Preserve district will clear 126 acres, resulting in 207 total acres restored along Crooked Creek. 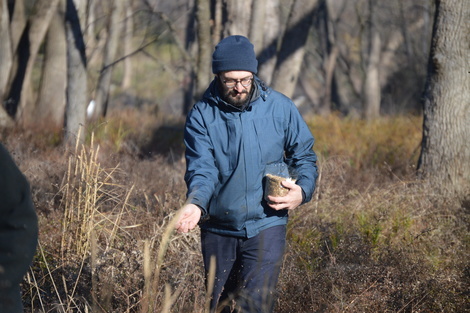 Forest preserve district ecologists will monitor re-vegetation, and heavily impacted areas will be supplemented with native seed, collected by volunteers and staff. Slowing water flow on the surface through native ground-layer vegetation will improve water quality and decrease the amount of stormwater entering Crooked Creek. Crooked Creek is located near 107th Street and LaGrange Rd. Woodland birds, such as redheaded woodpeckers, and bats need open woodland and savanna to swoop for prey, and will occupy areas cleared of invasive shrubs. Turtles are able to find nest locations much easier in open areas than those closed in with invasive brush. Cleaner water will support more macroinvertebrates in the creek. Diverse native flowering plants will support a host of pollinators. Perhaps most significantly, improvements to the infiltration capacity of headwaters of Crooked Creek could limit the number of times the creek overtops its banks and negatively impacts downstream breeding habitat of the Hines Emerald Dragonfly . The Chi-Cal Rivers Fund is a public-private partnership working to restore the health, vitality and accessibility of the waterways in the Chicago and Calumet region by supporting green stormwater infrastructure, habitat enhancement, and public-use improvements. A team of private and public organizations established the Chi–Cal Rivers Fund in 2013. Friends of the Chicago River Policy and Planning Specialist Andy Donakowski re-seeds a restored area. Organizations partnering with the National Fish and Wildlife Foundation on the fund include ArcelorMittal, BNSF Railway, The Chicago Community Trust, the Crown Family, the Gaylord and Dorothy Donnelley Foundation, the Joyce Foundation, the U.S. Environmental Protection Agency, the U.S. Fish and Wildlife Service, and the U.S. Forest Service. Since 2013, the Fund has awarded 27 projects that have received a total of $5.8 million in grants. This year's other grant winner and their projects can be found here.